Contemporary History Institute alum Dr. Scott Kaufman earned a Ph.D. in History in 1998 from Ohio University, finishing his dissertation under the direction of Dr. Chester Pach. In 2001 he joined the staff of Francis Marion University in Florence, S.C., and is now a Francis Marion University Board of Trustees Research Scholar and chair of the Department of History there. 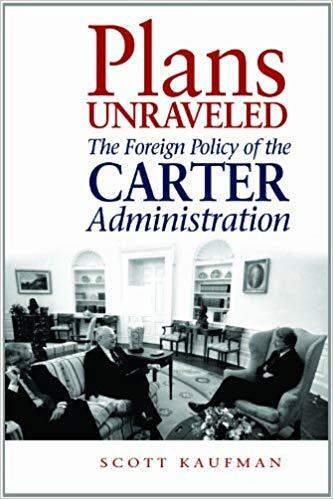 Specializing in diplomatic, presidential, and military history, Kaufman has authored, co-authored, or edited a dozen books, among them The Presidency of James Earl Carter, Jr. with his father, Burton I. Kaufman (2006); Plans Unraveled: The Foreign Policy of the Carter Administration (2008); Project Plowshare: The Peaceful Use of Nuclear Explosives in Cold War America (2013); Ambition, Pragmatism, and Party: A Biography of Gerald R. Ford (2017); and his most recent, The Environment and International History (2018). The Contemporary History Institute recently caught up with Kaufman to discuss his career and his experience at Ohio University as a CHI student. You have a diverse array of research interests and a lengthy list of publications, both as primary and co-author. What drew you to your past topics? There are various reasons why I wrote on these subjects. My first book was based on my dissertation, which originated from a suggestion that I might look at Anglo-American policy toward China. 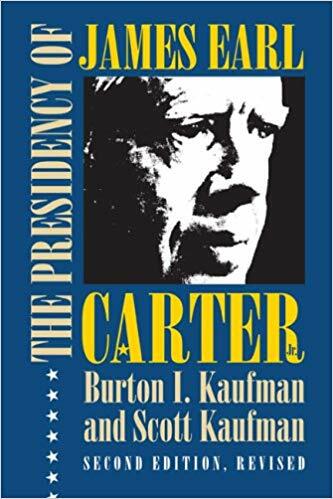 I became interested in Jimmy Carter through my father, whom I helped research the first edition of The Presidency of James Earl Carter, Jr. Believe it or not, I heard about the Pig War during a bike ride and decided to pursue that topic. Similarly, I came across Project Plowshare while working on Plans Unraveled, found the subject fascinating, and realized that there was much about that program that had not been addressed in the literature. In a couple of cases, I was approached by a publisher. Finally, Project Plowshare and the growing interest among diplomatic historians in the environment drew me to write my latest book. Has your research and writing process evolved over time? It has. Technology is a good example of this. I am giving away my age, but when I went to the Jimmy Carter Library with my father in the mid-1980s we literally took along a personal copy machine to duplicate documents rather than pay for them. (And was it slow!) I remember as well making lots of copies while researching my dissertation. I now rely heavily on a digital camera, which has greatly sped up the research process. The digitization of documents and their posting online has been useful, too. As for the writing process, I have honed a system over the years by which I summarize on notecards the materials I have copied, divide those notecards by subject and, at times, cross-list them. I can then use the notecards as something of a combination index and outline, which has helped make the writing process smoother. Francis Marion University has an undergraduate enrollment of 3,500 students and is known for its smaller class sizes. How does avoiding the large lecture hall affect your approach to teaching? I have taught in the larger lecture halls – I had about 90 students in the class I taught at Kennesaw State, for example – and it can be challenging to have discussions in such large groups. The smaller class size has allowed me greater opportunities for one-on-one interactions with my students. This has been particularly important at Francis Marion University, where many of the students are the first in their families to go to college. Moreover, my university is in what President Barack Obama called the “Corridor of Shame” because of the state’s lack of funding for education. Consequently, we have a significant number of students who come to campus requiring remedial assistance. In such cases, offering the one-on-one contact becomes all the more essential. 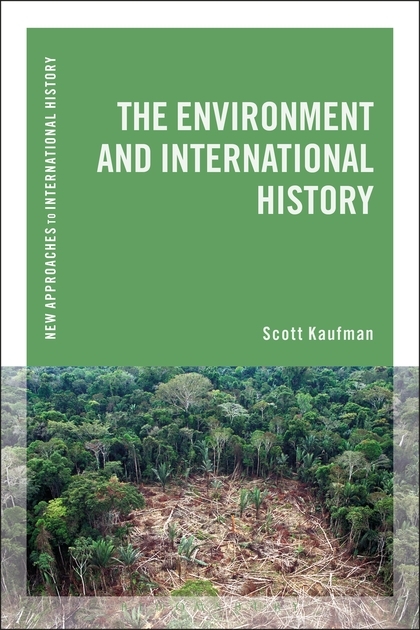 Your recent book, The Environment and International History, is an ambitious study of the interrelationship between international politics and the environment. Given the interdisciplinary character of the work, did you have a broader audience in mind than historians when writing? Absolutely. This book is part of a series edited by Tom Zeiler at the University of Colorado. Each is designed to serve as a textbook that is accessible to as wide an audience as possible. In my case, I hope to see The Environment and International History used not just in history classes but in courses on environmental science and international politics. Looking back, did Contemporary History Institute courses and events, as well as the environment created by CHI itself, prepare you for your academic career? Do you have any advice for current students? The interdisciplinary nature of the courses taught at CHI has had an enormous impact on me. In my course on historical methods, I used some of those lessons – and even some of the same books Dr. John Gaddis used – to have my students see what other fields of study can tell us about the past, the present, and even maybe the future. I apply similar lessons to a course I developed some years ago called “The History of the Future,” which examines how Americans since the turn of the 20th century have envisioned their future, and how those future visions, be them military, diplomatic, economic, social, cultural, or scientific, were influenced by the times in which they lived. My choice of subjects on which I have written too was inspired by my time at CHI. With regard to current students, I think a brief story is in order. From 1999 to 2001, I taught at what is now Missouri State University. One semester, I led a course there on historical methods and used a book written by an anthropologist on the history of smells. There was resistance to this from some of the students, who did not like the idea of relying on the work of an anthropologist in a History class. I urge current students to reject such an attitude and embrace the interdisciplinary approach CHI emphasizes, for it opens one’s eyes to looking at the past in new and exciting ways. 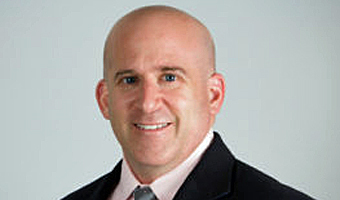 Connect with Kaufman on LinkedIn.